Our biggest criticism of the Atlas Wristband when we reviewed it was that we weren't the biggest fans of its awkward-looking design. Now the Wareable Tech Awards nominated wearable is bringing its rep counting tech to Android Wear, which means you can enjoy all the same features from your Moto 360 2, LG Urbane and even Polar M600 without strapping another device to your wrist. Joining the recently launched watchOS app, the Android Wear-friendly version is priced in at $4.99 and is still primed for resistance training. It features the same MotionAI as the Wristband to automatically learn 3D form. The idea is that the more you use the app, the smarter it will become. You'll still be able to track muscle focus and optimise training for specific muscle groups. It's now also able to learn new exercises after recording a few repetitions that you can add into your workout program. If your Wear watch has a heart rate sensor, it'll also be able to tap into it to provide an extra layer of data. Users will still be able to pick from over 100+ exercises for a freestyle workout as well as guided workouts that also factor in the correct amount of reps and rest time to get the best out of your workout. Data is still displayed in the Atlas phone app where you can view trends and progress as well as share fitness programs and routines. 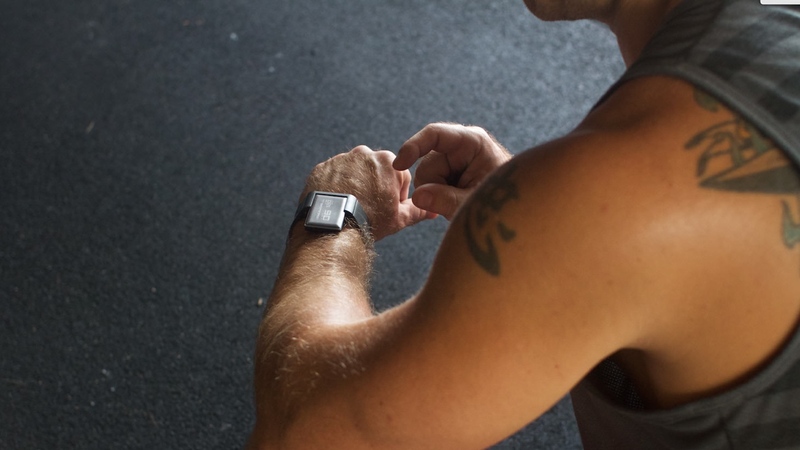 It will also work alongside Google Fit to combine running and step tracking with your weights sessions. We've just downloaded the app to an Android Wear watch to see what's it made of. We can already say we'd be more comfortable wearing it in the gym.